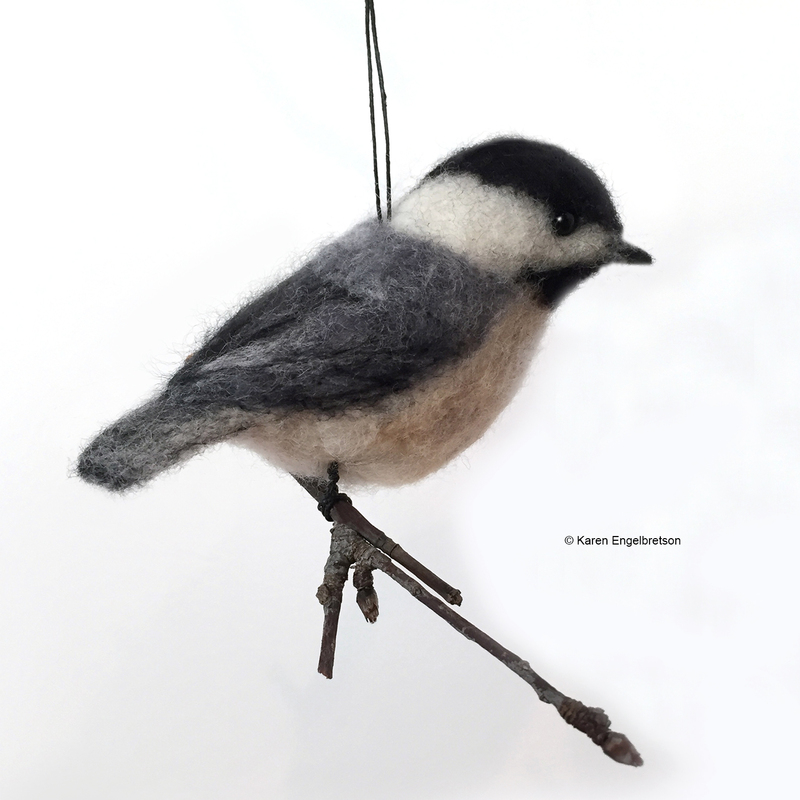 Needle felt a beautiful three-dimensional chickadee. Makers will learn needle felting basics and techniques to needle felt details and realism in wool. Instructions will be given for making wire legs and feet, and for hanging your bird as an ornament. Participants will complete one bird in class and leave with enough supplies to make a second one on their own. Felting is older than spinning or weaving and found in many world cultures. Felting wool means to agitate the fibers so that they bond together into a non-woven fabric or a three-dimensional form. Felting is often accomplished using water, soap and a hand rubbing process (wet felting). Needle felting (dry felting) involves the use of a sharp, barbed needle and stabbing the wool to connect fibers to build density and form. Experienced wet felters or those new to the felting craft will enjoy this fun class with our instructor, Karen Engelbretson. Intergenerational: Students aged 12-18 are welcome to attend with a registered adult. Each child must purchase material for their own work, and must be accompanied by a registered adult for the entire class.